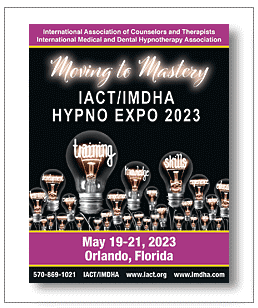 International Medical and Dental Hypnotherapy Association® offer world-wide Hypnosis Training Schools from which to choose. Many are state-approved and/or licensed. You may decide if you wish to pursue your certification requirements through a weekend training format, an apprenticeship training format, or a residential intensive format. IMDHA requires a minimum of 220 hours (150 classroom and 70 independent study) before applying for the Certification Examination. The field of Hypnotherapy is continuing to expand and one can find appropriate training in any one of these focus areas: general hypnosis; medical hypnosis, dental hypnosis, forensic hypnosis, sports hypnosis, business/education hypnosis, regression hypnosis, behavioral hypnosis and hypnotherapy as a tool in psychotherapy. Most hypnotherapy schools teach students to offer sessions that deal with: smoking cessation, weight control, stress, fear elimination, habit extinction, personal growth, spiritual growth, performance enhancement, sleeplessness, past-life regression and behavioral change. Other topics of which hypnotherapy schools instruct are on ethics and professionalism, marketing and when to refer to a psychotherapist and or a licensed healthcare professional. 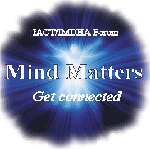 If you are interested in enrolling in one of the IMDHA approved Hypnosis/Hypnotherapy schools feel free to check below for a school in your area and contact the school today.